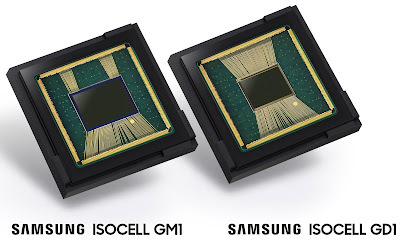 imaging area is much bigger than chip size! How do you conclude that? I measure 4:3 aspect ratio from the product images, thus 8000 x 6000 pixels for the 48 Mp version. Multiply by 0,8 micron and we get 6,4mm x 4,8mm imaging area. I have not found the module size, have you? With this package with very long bonding wires, the parasitic inductances will be very high and then low speed can be used. I hope that this is only a prototype and not the final product. Of course it's a prototype. It would be in a completely different package when it goes into smartphones. Could anyone give some photo sample with parasitic inductances. I would love to learn what is the final impact.